Travis Frederick OL Yes Questionable Illness Frederick is expected to play Week 1 against the Giants after sitting out the entire 2018 season due complications stemming from a condition known as Guillain-Barre syndrome. Demarcus Lawrence DL Yes Questionable Shoulder Lawrence underwent offseason shoulder surgery to repair a torn labrum. His status for Week 1 against the Giants is clouded. Byron Jones DB Yes Questionable Hip Jones is healing from a hip injury but is projected to be ready for Week 1 against the Giants. 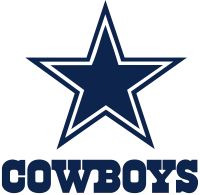 Randy Gregory DL No Out Suspension Gregory has been suspended for an undermined length of time due to violating the league's substance abuse policy.